Watch: In a message to Hamas, Israel obliterates terror organization's alleged Gaza command center. Escalation shows no sign of ending. 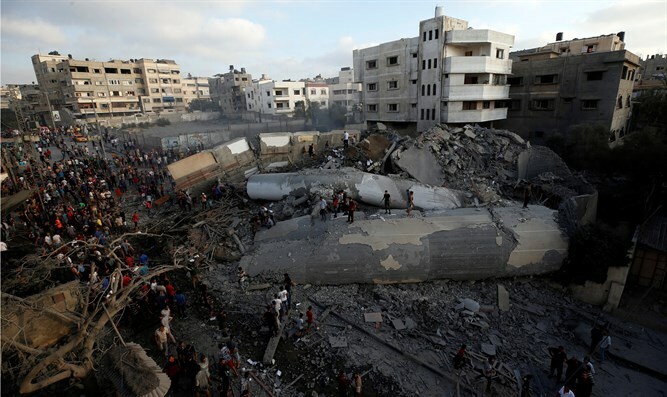 Israeli fighter jets leveled a five-story building in the Rimal neighborhood of the northern Gaza Strip on Thursday evening as the fighting between Israel and Hamas continues to escalate. 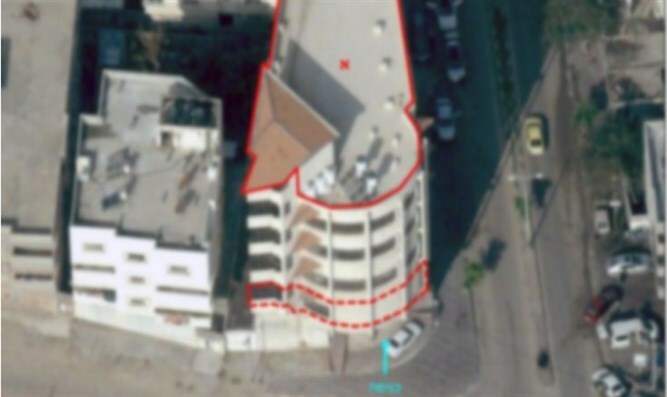 Israel says that the building serves as the command center for Hamas' internal security forces, which is responsible for and manages all internal security activities in the Gaza Strip. Some members of the Internal Security Unit are also active in the military wing of Hamas and take part in armed activity against Israel. The IDF said that it had decided to attack what it deemed a high-value target after Hamas fired rockets at Be'er Sheva on Thursday, the first time Israel's southern capital was targeted since 2014's Operation Protective Edge. "The attack was carried out following the extensive IDF attacks and in response to the firing of the terrorist organization by the Hamas terrorist organization at the city of Beer Sheva earlier today," said that IDF Spokesperson's Unit, adding that "this attack is an expression of the IDF's intelligence and operational capabilities". "The Hamas terrorist organization bears responsibility for everything happening in and out of the Gaza Strip, and it will bear the consequences for the terrorist acts against Israeli citizens," added IDF Spokesman Brigadier General Ronen Manelis. Israel's security-political cabinet is currently meeting in order to ponder its reaction to the incessant rocket fire that has plagued Israel on Thursday. Earlier, Netanyahu and Defense Minister Avigdor Liberman met with the IDF's top brass at the army's Tel Aviv headquarters. Since the recent escalation commenced on Wednesday evening, more than 190 missiles have fallen into Israel. The Iron Dome missile defense system intercepted 30 rockets and the rest fell in open areas.